The humour in this movie is what makes it worth seeing. 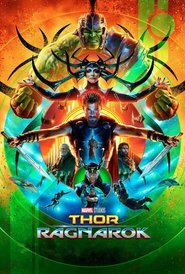 It has all the usual elements of a superhero movie, but New Zealand director Taika Waititi (Hunt for the Wilderpeople) has made this possibly the funniest Marvel movie ever made. And it seems to suit the actors — Chris Hemsworth, Tom Hiddleston, and Cate Blanchett look like they are having great fun. And Waititi, himself, puts in a wonderful performance as Korg. Check it out if for no other reason than to have a good laugh along with its wonderful characters.